Mainly trained by their peers without any approved and formalized teaching methods, petrochemical and refining operators do not offer guarantees of reliability to match their responsibilities. George Dzyacky, Director of Training Services for RSI, requests new training practices that would provide the same level of coverage as civil aviation. When you book a ticket for a flight, do you choose the airline according to the skill level of its pilots? No of course not. Why? Because you think that there is no such thing as a "bad" pilot. In your opinion, all pilots of all companies reach a high level of competence. The flying public has acquired an innate assurance that all is well on the flight deck. On the other hand, I have sometimes asked operations managers during conferences to think back to when they were a process engineer or an operations superintendent, on a unit that was coming out of a turn-around. At some point, near the end of the multi-day start up procedure, after all the vessels were purged of air and equipment brought up to temperature, they approached the critical phase of introducing oil feed for the first time. Everyone was familiar with the question. They had asked it dozens of times. I knew they had, because I had been the supervisor to whom that question was always put. I had asked it hundreds of times myself. What comes next is a quick check of the operator’s work schedule. If the person scheduled for tomorrow’s day shift is someone who the supervisors trust, it is not necessary to process it any further. Although, if the person on tomorrow’s schedule doesn’t have a very good track record of managing even normal day-to-day operations, the supervisors wouldn’t trust the person with the responsibilities of a critical step in the procedure and would schedule an extra person on the console to “help” with the start-up. Why? The individual skills of process operators are routinely questioned in the refinery workplace; because operators rarely undergo training that is sufficiently rigorous for the responsibilities they are handed. It’s not their fault. They are products of training practices engrained in the industry over decades. Of all the varied disciplines that are required to operate a refinery, engineers, managers, accountants, pipefitters, machinists to name a few, process operators are the only ones who are trained and brought all the way to “qualification” by their co-workers. Console operators occupy the most safety-critical job in a refinery and yet there are no uniform standards for training or performance. Every operator job in a refinery is different and historically perceived to be beyond a cost-effective out-sourced training approach. The industry concluded that no one was better positioned to train operators, than other operators who have mastered the nuances of the units. Unable to effectively outsource process operator training, the industry was required to take on the responsibility. That responsibility for operator training normally gets pushed all the way down to the unit level where the unit process operation expertise resides, with varying degrees of plant-level quality oversight. At the unit level, competent operators are identified, elevated into training positions and tasked to train their fellow employees. Most of these trainers are very good at operating the unit and are able to convey these skills more than adequately. But rarely do they have any background in education, training program development or the training of adults. Consequently, the unit operator training programs become limited by the capability and motivation of the trainer and subject to fluctuating unit budgets and refinery margins. We must no longer capitulate to the outdated culture and history of process operator training. 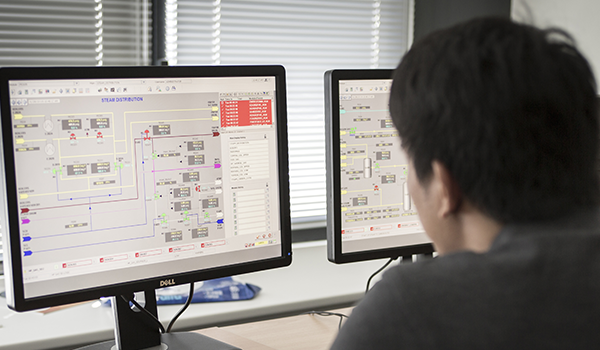 Console operators in refining and petrochemical industries should be required to successfully complete comprehensive curricula targeted to teach process fundamentals and unit-specific training. They should have formal classroom, simulator and on-the-job training covering the main fundamentals of a production site. Then, they could broach the unit-specific portion of their training where they learn to operate “their” unit. At that point the unit trainer comes back into the picture. But this time the trainer isn’t burdened with the responsibility for designing training programs. He fills the role in the development of a training program for which he is perfectly suited and qualified – that of Subject Matter Expert (SME). The trainer works with professional training consultants who specialize in the development and execution of fundamental and unit- specific training material and simulators. In a third, phase, the console operator would serve an “apprenticeship” of sorts by paralleling on the actual console with a previously qualified operator. The paralleling phase could last from two weeks to one month, before the trainee is certified to work the console alone. Today the low cost of process computing, advancements in modelling and two post-baby-boom generations that embrace technology, has led to increased use of high fidelity simulators in the refining and petrochemical industries. Training simulators accelerate experience like a time machine. As a result “paralleling” could conceivably be phased-out of the curricula all together. This approach to achieving uniform competency assurance can give plant managers and the neighbouring communities the innate assurance that all is well in the control room. What does competency assurance feel like? It feels like NOT being burdened with something. It feels like calling in to the refinery at 2:00 am due to an emergency and learning that your best crew happens to be out that night. No one was hurt, everything is ok on your unit and the crew will provide feedback within the hour. This crew knows what they’re doing. You are confident everything is ok, you hang up the phone and you fall back to sleep. What does competency assurance feel like; it feels like that – like all is well on the flight deck.